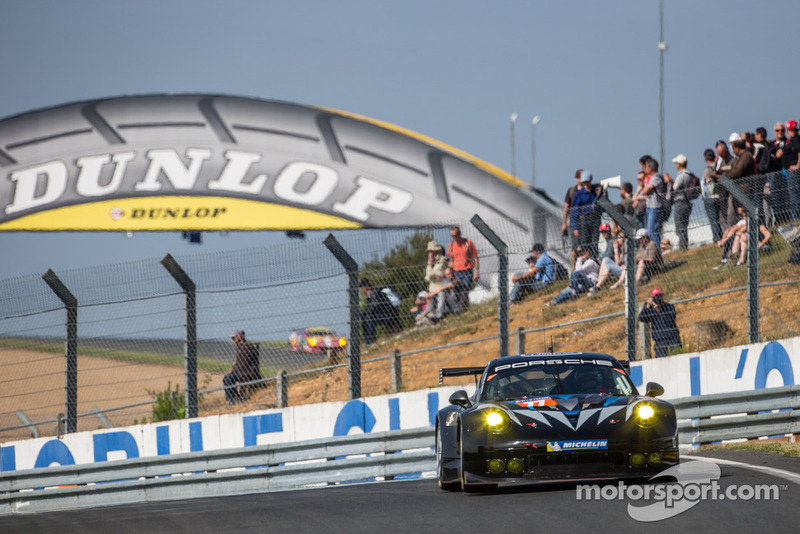 It’s the time of year when the motorsport world turns it’s attention to the centre-piece Sportscar race of the year, the fabled Le Mans 24 Hours. The race has enjoyed a resurgence in recent years as Sportscar racing proves more popular with fans, who prefer the flat out nature of Sportscar races in comparison with the conservation races that Formula One have become. The GTE Am class may be struggling for numbers in the World Endurance Championship, for Le Mans the class has returned to a far more healthy number of entries with 16 cars set to battle it out for class honours. The class enjoys a truly worldwide entry with teams and drivers who compete in the WEC, IMSA WeatherTech and Asian Le Mans series all competing against each other. The overall quality of the entries in this class improves with every passing year and this edition is no different. Just like with every other class winning is very tough with every team needing to have a faultless run along with a helping hand from lady luck to prevail over the 24 hours. Let’s take a look at the first half of the class entry for this year. The French Larbre team are always a welcome addition to the GTE Am class over the last few years, as they return this year after a failed attempt to move into the GTE Pro class of the WEC for this year after Chevrolet factory backing couldn’t be agreed. The team will definitely stand out this year, and not simply because they are the only team fielding a Corvette in the class. 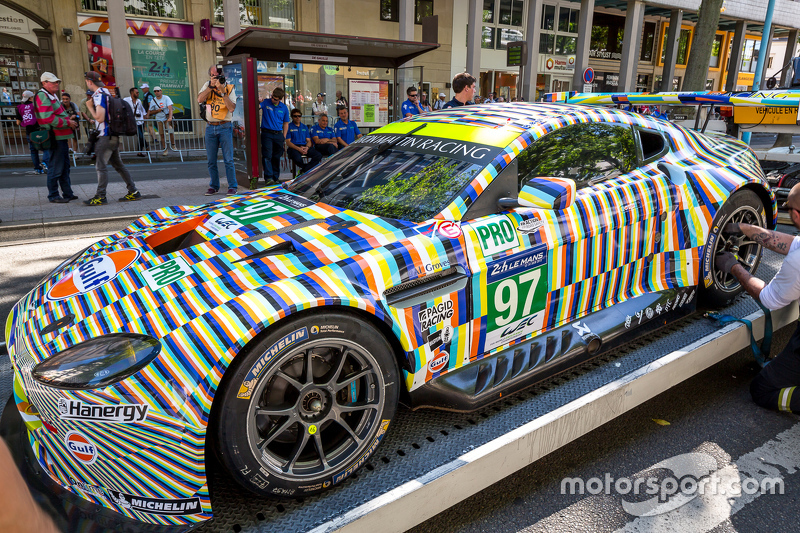 This year the team have a striking art car livery, done by French street artist Ramzi Adek. It appears to have come about thanks to driver Romain Brandela through his connections as BMW France public events manager, the manufacture being known for its art cars. On track the team may struggle slightly to match the front running pace as the team are one of the few teams in class to have two bronze drivers. Completing the trio is former factory Aston Martin driver Fernando Rees, someone who is both blindingly fast and is well known to the team having driven for them before he joined AMR. With him behind the wheel the car will fly, however they will struggle to maintain this pace once the other two drivers get in. Larbre will catch the attention of the crowd with their thundering Corvette and distinctive art car livery. Photo: LAT Images. 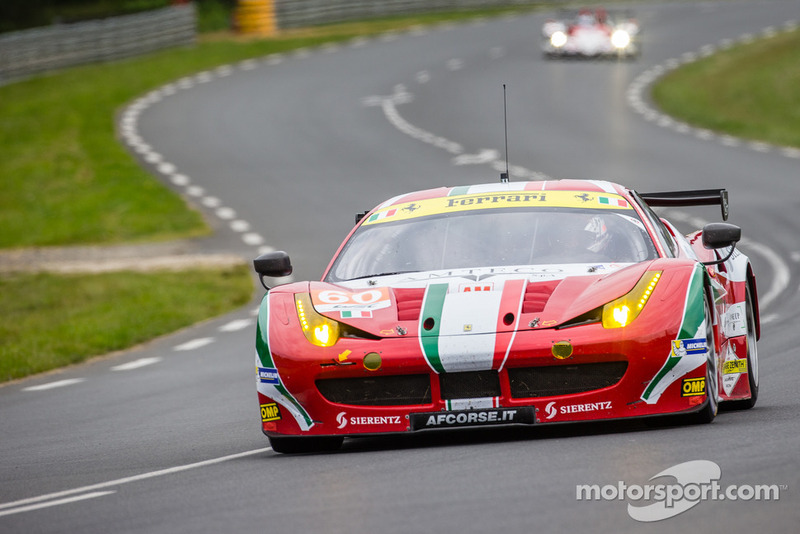 This Spirit of Race entry is run by the Ferrari GT specialist AF Corse team, who return to Le Mans with an arsenal of entries across the two GT classes. The team have showed flashes of promise in their first season at this level, with gentleman driver and team backer Thomas Flohr improving under the tutelage of his pro team mates. 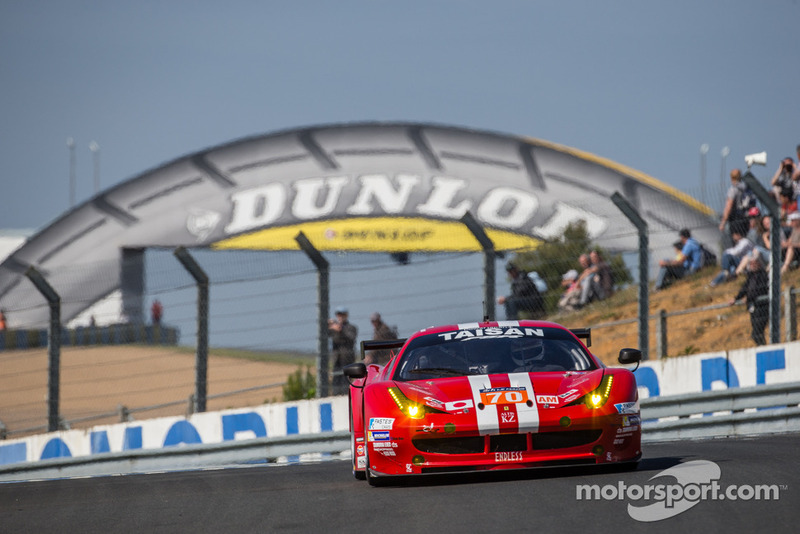 AF Corse is the perfect team to run their entry, making their debut at the race that much easier. Flohr is the teams bronze rated driver and has improved already this year, with help from his full season team mate Francesco Castellacci, an Italian who has found a full season drive after bouncing around partial seasons with the likes of Aston Martin and AF Corse over the past five years. He is a talented driver who will prove the surprise for this entry over the course of the race. Completing the line-up for Le Mans is Ferrari factory driver Olivier Beretta, who replaces fellow factory driver Miguel Molina who is being called up to the factory Ferrari GTE Pro entry. Beretta is a proven winner at Le Mans with six class wins along with five further podiums across his Le Mans career. Adding such a high calibre factory driver vastly improves this entry and should put them in contention for the class podium with a clean run. The only potential worry will be how quickly Flohr adapts to the circuit across the week. Spirit of Race have a chance of a class podium in their debut Le Mans, with Ferrari factory driver Olivier Beretta spear heading their entry. Photo: LAT Images. Spirit of Race have two entries in this years race and this #55 entry is their regular European Le Mans Series entry. It’s been a rough start to the season for the team in the ELMS but they have the potential to bounce back with a great result at this blue riband event. Regular driver pairing Duncan Cameron and Aaron Scott a good driver pairing. Cameron has improved greatly as a bronze rated driver and has plenty of experience at this level in recent seasons. Team mate Aaron Scott has put in good performances in the opening rounds of the season and will be the teams hidden gem come race week, much like Castellacci in the teams other entry. Completing the entry is the teams hired gun Marco Cioci, a very quick Italian who is vastly experienced with Ferrari GT cars. He has proven himself at this level with several GTE Am podiums in his racing career, with the only potential question mark for this team going into the week being their tyre choice. They have been running on spec Dunlop rubber all year yet for this race have switched to Michelin tyres. What effect will this have on their pace throughout the week. This gorgeous #55 Spirit of Race entry will be led by Marco Cioci, but Aaron Scott could prove their secret weapon. Photo: LAT Images. Clearwater racing have grabbed headlines previously with their striking chrome livery, yet with a years experience they are returning to Le Mans with hopes of a class podium. 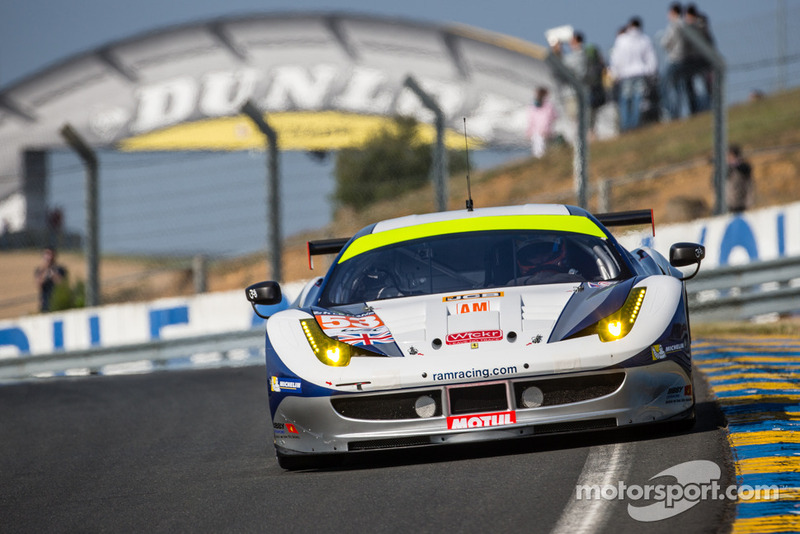 This is their one-off second entry for the race, and with AF Corse providing assistance they have everything in place. Enlisting McLaren factory GT driver Alvaro Parente is a smart move from the team, as he has established himself as one of the fastest GT3 drivers in the world, and has Le Mans experience. Hiroki Katoh is a vastly experienced Super GT racer who is another great addition to the team, with am driver Richard Wee completing the line-up. He has Blancpain GT Asia experience and will have two very quick team mates to learn from over the course of the week. The team has a great line-up for the race and with the team gaining experience at this level rapidly, they could be in with a chance of victory. In the hands of Parente and Katoh this car will be very quick, but as with every GTE Am entry the pace of the amateur bronze rated driver will dictate the cars chances of class honours. Clearwater Racing are an ever improving team and is a testament to the growth of the Asian Le Mans Series. Photo: LAT Images. This #61 entry is the teams designated full season WEC entry, and this team keeps consistently surprising people with their pace. They claimed pole on their debut in the race last year and finished an impressive fourth in class. This year they claimed a debut victory in the opening round of the WEC at Silverstone several months ago, and will be an outside contender for victory if they have a good race. This driver line-up may not necessarily be as highly rated as some others in this class, however they are definitely worthy of high praise. Led by experienced Irishman Matt Griffin, a very fast and consistent GT driver, along with team mates Keita Sawa and Weng Sun Mok. Sawa is a very quick silver driver who is the reigning Asian Le Mans Series GT champion, with Weng Sun Mok another reliable bronze driver who has built up a good relationship with Sawa through the ALMS. The team could prove surprise winners as they have consistently exceeded expectations at this level. Don’t discount the Clearwater team, who are improving rapidly at the highest level of GT racing. Photo: LAT Images. This #62 entry is definitely one of the favourites in this class, with last years Am class winners Townsend Bell and Bill Sweedler returning with the team they claimed victory with. For this entry the mantra of what isn’t broke doesn’t need fixing is prevailing, with the only major change for the team being the addition of silver driver Cooper MacNeil, who will likely be one of the quickest silvers in the class. Bill Sweedler is a very quick bronze rated driver and has a great working relationship with Townsend Bell, himself a very quick and experienced GT racer. This team has been very successful both at Le Mans and in the IMSA WeatherTech series, with able support from renowned Ferrari specialists Kessel Racing. This entry has to be one of the top favourites for this class considering the high quality driver line-up which could be seen as the best in the class by some. After last years success it would be unwise to bet against this team repeating a class win this year. This Scuderia Corsa entry is one of the favourites going into the race, looking for a second consecutive class win. Photo: LAT Images. Scuderia Corsa has two strong entries this year, doubling their chances of a podium place come Sunday afternoon. Reigning IMSA GTD class champions Christina Nielsen and Alessandro Balzan are together once again, and with such a successful partnership expect them both to lead this car in terms of pace. Completing the line-up is bronze rated driver Bret Curtis, who is an experienced racer who will anchor this car and with such a competitive class the class contending cars will be the ones with the best bronze rated drivers. This team is highly professional and with a clean run they can easily compete for a podium place, however they may lack the last tenth or two compared to their sister car simply because of how strong Sweedler is as a am driver. Scuderia Corsa has a great chance to secure class victory with two very high quality entries this year. Photo: LAT Images. Dempsey Proton have established themselves as mainstays of this class recently and have a three car entry this year, beginning with this #77 car. The team have had a good start to the WEC season, despite this car being two years old now. Competing against more modern machinery is going to prove extremely difficult, and the team may need to rely on misfortune or adverse weather to secure a top result this year. On the driving front the team have a very good line-up with the experienced Christian Reid a good solid am driver and will be very consistent. He’s partnered with Porsche junior driver Matteo Cairoli, who has impressed massively so far with his consistently quick performances. Completing the trio is former single seater racer Marvin Dienst, 2015 German F4 champion and someone who will likely impress all week. Despite having a two year-old car, this team still has a chance of victory, such is the strength of the team and its drivers. Photo: LAT Images. 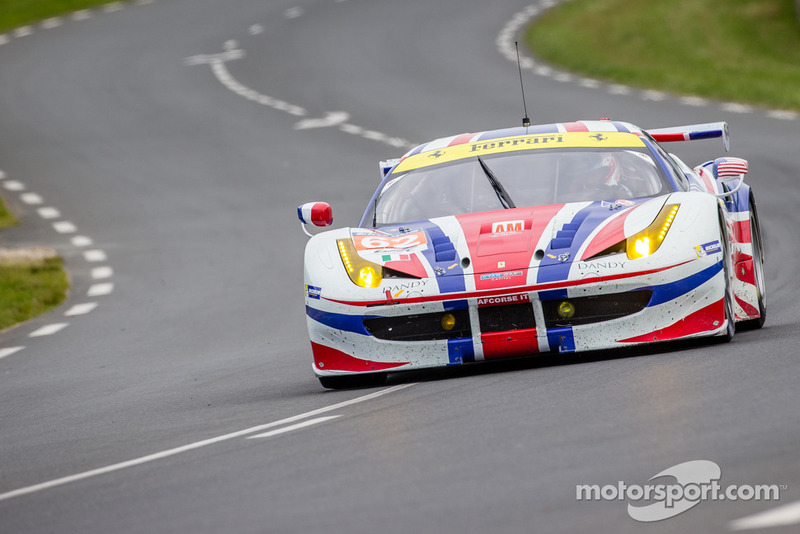 That sums up Part One of my preview for the GTE Am class at this years Le Mans 24 Hours. I would like to thank LAT Images and Motorsport.com for the high quality images and Dailysportscar.com for their expert knowledge, some of which helped when sourcing info for this article. I would lastly like to thank everyone who reads this blog as this is what I write for. Find me on Twitter @brfcjordan95 and Part two will be posted in the next few days! Antonio Giovinazzi. The 22 year old Italian has taken the GP2 series by storm in his rookie season, but he still doesn’t seem to have been placed with the tag of an up and coming talent. Some of the rivals he has previously beaten are being linked with Formula One drives for next year, so why is Giovinazzi not yet being considered for the step up to F1? The Italian has a stellar junior racing CV, winning at every category he has raced at. From the very beginning Antonio has not followed the traditional path, something that has served him incredibly well to this point. Beginning racing in the Formula Pilota China series in 2012, was a double edged sword for Giovinazzi. He dominated the series with 13 podiums from 18 races, however racing so far away from Europe kept him out of the spotlight. Giovinazzi moved back to Europe for 2013, but found the running difficult in the ultra competitive FIA European F3 championship. Driving with the Double R team he struggled with no podiums in thirty races, finishing the year 17th overall. In a truncated British F3 campaign he was more successful, with two wins he finished second overall in a small yet high quality field. Giovinazzi in action during his dominant title winning Formula Pilota China campaign in 2012. Photo copyright Formula Pilota China. After a year learning the circuits and adjusting to the step up in standard, he joined front running team Carlin for 2014. Helping him was support from Jagonya Ayam, the Indonesian KFC franchise. With sizeable long term support Giovinazzi was free to focus on racing. His sophomore campaign was far more successful, with two wins and five further podiums from 33 races. 6th overall was his reward and was seen as one of the top contenders for the following campaign, with the drivers ahead of him all moving up the single seater ladder. Returning to European F3 for a third year was a risky move for the Italian, with anything other than fighting for the title would seriously halter his career momentum. Staying with Carlin for another year proved fruitful, with six wins propelling him into a title fight with the experienced Swede Felix Rosenqvist. Giovinazzi ultimately finished second, but a win in the one-off F3 Masters at Zandvoort and 4th in the Macau GP showed he was a name to watch. Not content with having a break during the off-season, he teamed up with fellow Jagonya Ayam backed driver Sean Gelael for two rounds of the Asian Le Mans Series. Winning both rounds kept them both sharp as they prepared for the step up to GP2. Giovinazzi in the opening round of the 2015 FIA European F3 championship at Silverstone. 2015 would be the year he solidified himself as an up and coming driver. Photo copyright FIA F3/TSphoto. Giovinazzi joined the Prema team for both parties first season in the premier feeder series to Formula One. Whilst both had showed well in F3, expectations were kept low with both being newcomers to the series. Even with expectations kept low for his rookie season, he will have been disappointed with his start to the season. With a best finish of 11th from the opening four races, any slim chance of a title challenge seemed to have vanished.So what happened at the next meeting shocked everyone in the paddock. At the all new Baku city circuit in Azerbaijan he proved the class of the field, winning both races whilst others around him struggled to adapt to the challenging street circuit. The two wins propelled him into title contention, as he sat in third position, only eight points behind title leader Artem Markelov. Winning both races of the same meeting had not previously been done since Davide Valsecchi in 2012. Over the course of the season consistent points scoring kept him in the title chase, as one of the most evenly contested title fights for years played out. With several drivers all vying for the decisive advantage, wins for Giovinazzi in Belgium and Italy were the perfect shot in the arm for his title bid. Antonio celebrating his double victory in Baku. He was the first driver to do the double since 2012, and the two wins thrust him right into title contention after a poor start to the year. Photo copyright GP2series.com . His strong finish to the season continued at the penultimate round supporting the Malaysian Grand Prix. A win in the longer feature race was backed up with a fourth in the sprint race, these results proving enough to propel him into the title lead for the first time all year. With a month to wait until the title deciding final round in Abu Dhabi, the pressure is on for everyone involved. In theory Raffaele Marciello is still in mathematical contention, but being 39 points behind with 48 available, it will be extremely tough for him to come out as champion. Realistically, the title is going to come down to Giovinazzi and Frenchman Pierre Gasly. Giovinazzi is seven points ahead of the latest Red Bull prodigy, and although its a cliche to say its all to play for, it really is. Despite Giovinazzi bidding to become the series first rookie champion since Nico Hulkenberg in 2009, he has yet to receive much attention from Formula One. In September it was announced he would be joining Ferrari to conduct simulator work, but this is so far his only link to F1. Giovinazzi has also dabbled in sports cars over the past year, and could provide another avenue to becoming a professional driver should he be inexplicably overlooked by the F1 paddock. Photo copyright Motorsport.com . From the outside it seems a strange move, with such a remarkable debut GP2 campaign and the budget he can bring from his sponsors, the fact he’s not even being linked with any of the remaining available F1 seats seems very strange indeed. Whether the F1 paddock knows something the fans don’t is unknown, but this is a pivotal time in his career. If the F1 community for some reason discards him, he will still have plenty of options left open to him. He could continue in single seaters and follow the path of 2015 champion Stoffel Vandoorne. He switched the the highly competitive Super Formula series before attempting the move back to F1. He could similarly change tack and join the burgeoning sports car ranks. The World Endurance Championship and other affiliated series are enjoying a renaissance in the past half decade, with plenty of young drivers moving across from single seaters to the dream of professional deal with a sports car manufacture. Whatever happens in Abu Dhabi, Giovinazzi has already proved any remaining doubters wrong this season. His performances have proved he’s a very talented young racing driver who will likely succeed in whatever aspect of racing he competes in over the coming years. Watch out for Antonio Giovinazzi, this is not the last we will hear of him. What are your thoughts on Antonio Giovinazzi? Please feel free to share your opinion below, I would hugely appreciate it. Thank you for reading. Find me on Twitter @brfcjordan95. After the success of the first book from co-authors Stefan Lewyckyj and Ian Doughty on the McLaren MP4-12C, their latest offering centres on the iconic Porsche 911, and it’s latest 991 model. The opening chapters are dedicated to the history and heritage of the Porsche 911, both on the road and the race track. The opening chapters are very informative for the reader with high quality photos being used for perfectly complement the interesting text, setting a standard of quality which carries over throughout the book. Throughout the book there are peppering’s of interactive features which add another dimension to this book. The video’s and added text material such as press releases are well laid out and subsequently are very easy to use. The chapters centring on the new 991 model Porsche 911 are well presented and guide the reader through the entire development process from start to finished product, through the use of informative text and highly detailed photos. Whilst the early chapters switch between the road car and race car the later chapters focus more on the race car, something which make the book interesting for anyone as the photos are captioned in expert detail on areas such as the outside bodywork, internal cockpit and the engine. Both the factory and customer teams and drivers racing the new Porsche 991 911 on both sides of the Atlantic from both 2013 and this season are detailed to a similar level, giving the reader a clear understanding of everyone racing the new Porsche 911. The more anyone will read this book, it will become more evident how well researched this book is as the extraordinary detail to which this book goes to sets it apart from any competitor books on the new Porsche 911. The book also contains complete stats from the 2013 and 2014 season so far. The biggest plus with this interactive book is that anyone can download updates for it which will update results from future races this season and beyond. In conclusion, this is a very well researched and detailed book which will interest anyone who’s interested in cars or motorsport. In particular, for fans of the Porsche 911 this is a must have book, with a £4.99 price tag making this a very affordable book for anyone interested in cars. Put simply, you won’t get a more informative book on the Porsche 911 with the £4.99 price tag simply even more of a reason to buy this incredible book. Here’s a link to the book on ITunes and the Iconic racer series Twitter page, which will keep you updated with all the latest in this book series. After previewing the first half of a vast 2014 Le Mans 24 Hours GTE Am class, this is the second and final instalment of my Le Mans reviews from each class. Like I mentioned before, the GTE Am class was one of the closest fought battles in the race and the vast entry shows it’s popularity with the drivers and teams. Long may it continue. The Japanese based Team Taisan returned to the Le Mans 24 Hours after a long absence, hoping for a similar result to it’s first debut where the team scored a GT class victory in 2000. Unfortunately for the team, the level of competition in GTE Am is much improved in 2014 and a repeat class victory didn’t look likely. The team suffered a poor qualifying yet the quality in their driver line-up meant they were unlikely to stay in the lower places once the race got underway. From here the team drove a steady and reliable race as they marched up the GTE Am field to an eventual 8th place finish in class by the finish, and 28th overall. For this team that can be viewed as a success on their return after some years away, with many hoping they’ll make a return visit in 2015. 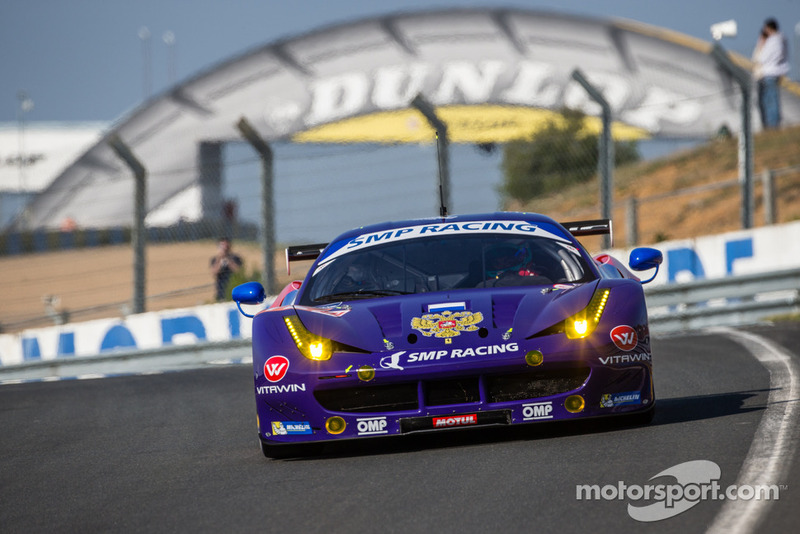 For this newly formed Russian SMP Racing team their link up with experienced Ferrari GT team AF Corse must have proved invaluable on this, their first Le Mans 24 Hours. Whilst the two Oreca LMP2 cars they fielded struggled during session leading into the race, their GTE Am Ferrari qualified a superb 5th in a highly competitive class. During the race the SMP Ferrari consolidated it’s position at the head of the midfield, just within reach of podium contention. All 3 drivers were driving well, especially the two Russian rookies considering it was their first Le Mans, until the rug was whipped out from underneath the team just as the began to dream of a top 5 position in class. They were forced out during the night after completing 196 laps, and whilst the team can be disappointed they retired, they can take a lot of heart from their performance up to that point. 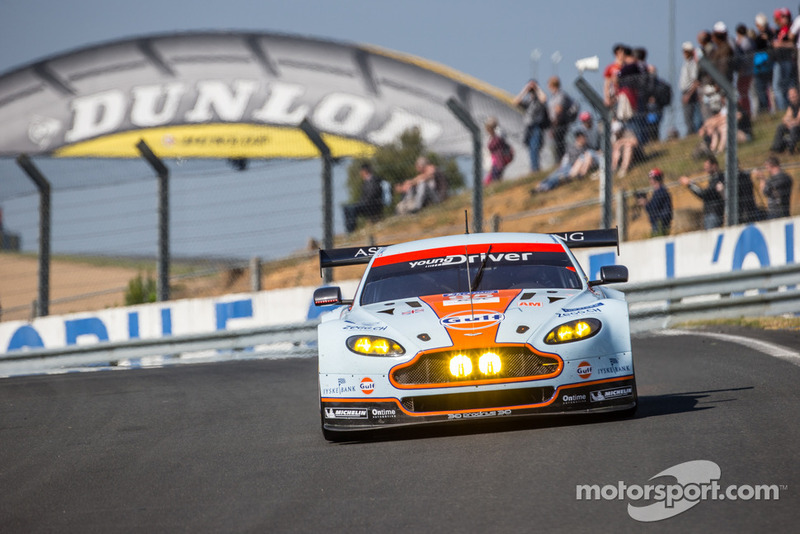 The team looks likely to return in 2015, and watch out for them to be contenders for GTE Am honours. This #75 Prospeed Porsche was a car I tipped for the GTE Am podium as they contained a driver line-up that could match anyone in the class. Unfortunately the team suffered a poor build up to the 24 Hours and qualified well down from their expected front running position. The team and drivers were vastly experienced however and it wasn’t long before they began their rise through the GTE Am field. The team was staying out of trouble and making up positions until unfortunately the team was forced into retirement in the middle of the night, having completed 194 laps. This was galling for the team as they looked on course to challenge for a top 5 finish in class, although we remain hopeful the team will return next year and deliver on the potential they showed in this year’s 24 Hours. 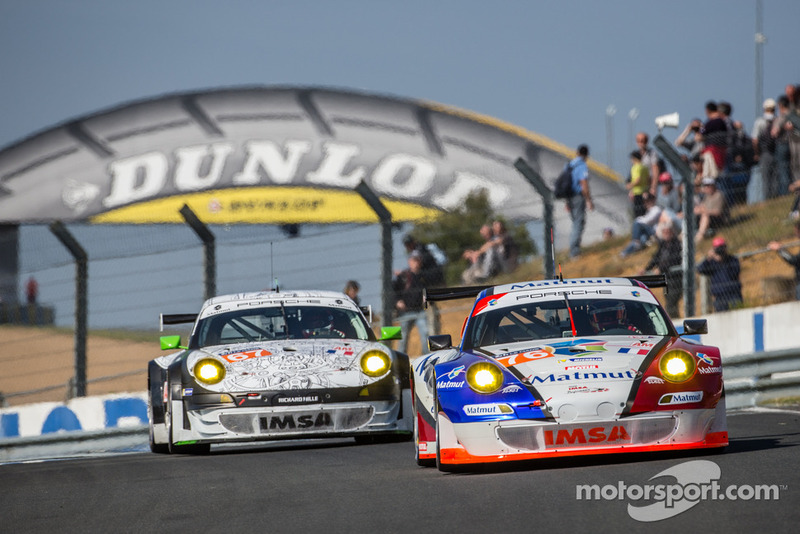 The second IMSA Performance Matmut Porsche was another, like the #58 Sofrev ASP Ferrari, to garner plenty of French press attention, as this driver line up contained French pop star David Hallyday, who is a regular at the 24 Hours. This experienced team was given a boost with rapid young French GT driver Nicolas Armindo in the line up, although the #76 car failed to show it’s true pace in qualifying. Come race day, the car was running well during the early hours, before a plethora of small problems hobbled the team from here on out. The drivers drove well to try make up as much time as possible yet by the finish the problems had relegated the team to a lowly 11th in class at the flag. Although this is hugely disappointing for a team that was probably hoping for a top 5 finish in class, they’ll be hoping their luck improves in time for next year’s Le Mans 24 Hours. 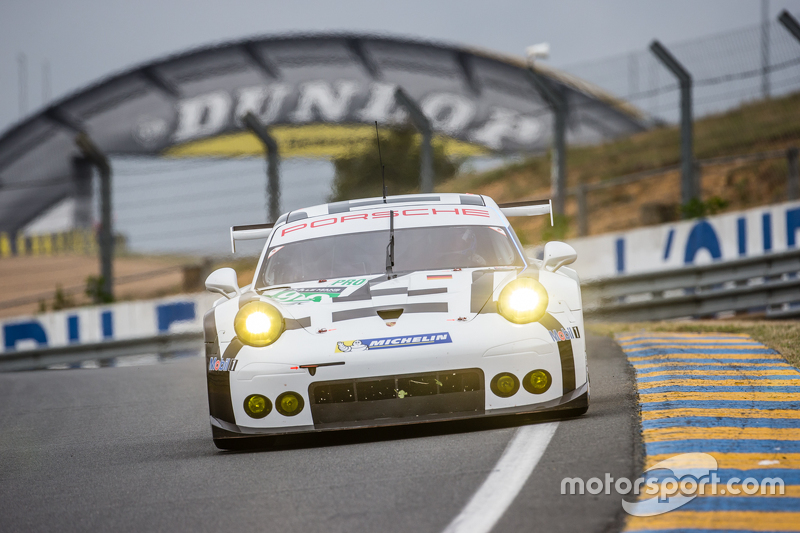 Undoubtedly the car with the most attention throughout the race week was the #77 Dempsey racing Porsche. 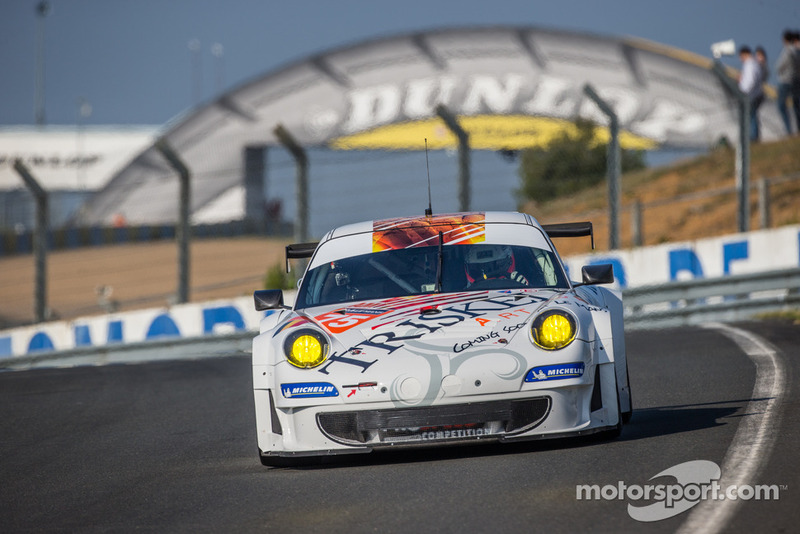 Well known American actor and avid racer Patrick Dempsey returned for his third Le Mans, and second with his own team. 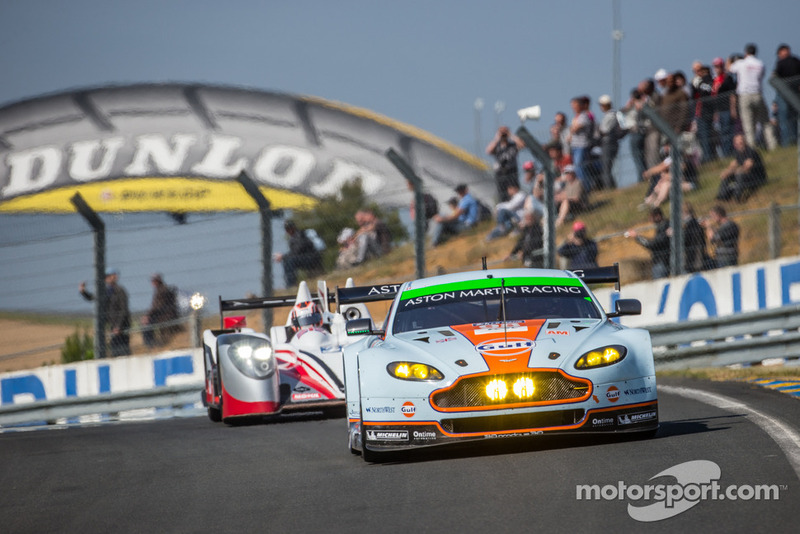 After a heart breaking run that came so close to GTE Am honours last year, they were hoping to better that this year. After a midfield qualifying run the team looked set for a good race as Porsche factory driver Patrick Long was soon challenging for higher places in the opening few hours. From here the steady hands of Dempsey and business partner Joe Foster kept the car in the hunt, although tragically for the team misfortune soon derailed their challenge. This mechanical problem dropped them down the order, and whilst they tried to make up the lost ground, they were able to get back to a close 5th in class. Although this team might feel slightly disappointed, to have such a strong Le Mans two years in a row suggests if this team has a relatively reliable run, they be challenging for GTE Am honours next year. The second of the Proton Porsche’s carried a lot less hype surrounding it than the sister #77 entry, therefore leaving the car to fly under the race during race week. A quiet qualifying was carried over into the race as the car and three drivers ran faultlessly throughout the 24 Hours, whilst the lacked the all round scintillating pace that can be overcome in the race. Their reliability soon had them creeping up the order until they found themselves 2nd in class with only a few hours to go. Whilst the team started dreaming of a class victory when the leading #95 Aston Martin was pulled into the pits with only a couple of hours left, the team was unable to make up the lap difference before the Aston was fixed and sent back out. Therefore the team cruised from here to take a comfortable 2nd in class, and 21st overall. The team was clearly delighted with this incredible result and will be hoping their good luck continues for another crack at class victory next year. For the 8Star team things started badly for the 24 Hours as driver Frankie Montecalvo suffered a big accident in the early qualifying sessions. It was feared at one point he would be unable to race, yet the team were delighted to find out in fact he would be well enough to race after the shunt. The crash therefore blunted their qualifying effort, yet the team were confident they could make up ground with a reliable run. The team’s race plan worked to perfection during the race as they slowly and methodically moved up the GTE Am order as the race wore on, the #90 seemed to slip under the radar until they reached 4th in class by Sunday morning. From here the team tried to catch the #61 AF Corse Ferrari in in 3rd, yet were unable to do this and settled for a 4th in GTE Am, only one lap off the podium. Whilst the team might feel slightly unlucky with their accident and starting position it seems the team lived up to their expectations after a difficult start, and will be hungry for more next year. This was arguably the favourite for GTE Am honours pre-race, something the team delivered on in the ultimate manner. 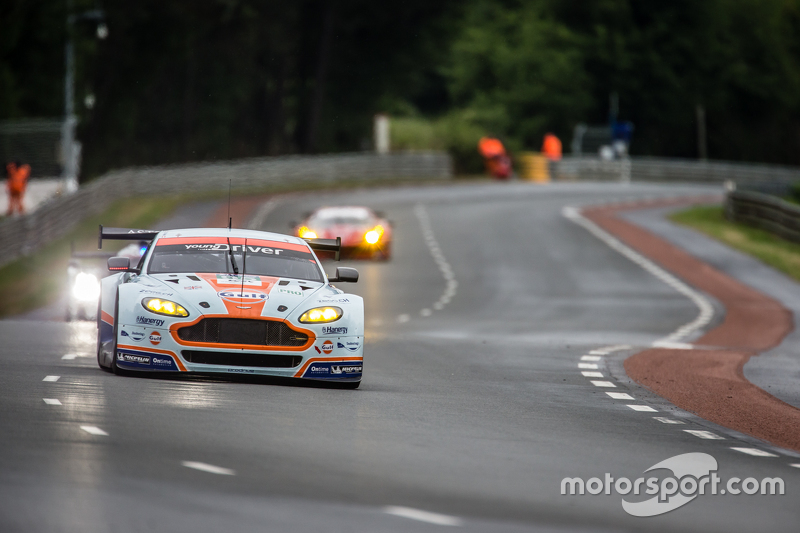 From the moment practice began on Wednesday this team seemed to have an edge on speed over the rest in the GTE Am class, as the Aston Martin Vantage returned to competitiveness at the Circuit de la Sarthe. The team expertly converted a 3rd in class after qualifying into an early lead, which the held for the majority of the rest of the race. It was one of the few Aston Martin’s that didn’t suffer from power steering problems throughout the race, yet it have it share of problems late on, although by this point the car had enough of a lead to retain it’s GTE Am lead. They eventually crossed the line victorious by 2 laps, in what was hugely emotional win for this all Danish crew, after the loss of team mate and popular fellow Dane Allan Simonsen in the early laps of last year’s 24 Hours. This class win was the ultimate dedication to his memory from everyone at Aston Martin racing. The second of the two factory Aston Martin GTE entries suffered a lot more difficult race as their Aston was the first to suffer power steering problems. Up to this point the team was thrilled as the factory Aston’s ran 1-2 in GTE Am, with the #98 car holding the lead for 86 consecutive laps before surrendering it to the sister #95 entry just after midnight when the power steering problem reared it’s ugly head. The repairs were extensive and dropped the car well down in the GTE Am class, once repaired the superb driver line up tried to make up as much as possible, yet there was little they could do at this point as the car eventually made the flag 6th in class, 5 laps down on it’s team mate. Although the team will be disappointed with the problem, they can take consolation from the fact they scored points which sets them up well for the remaining rounds of the WEC now. 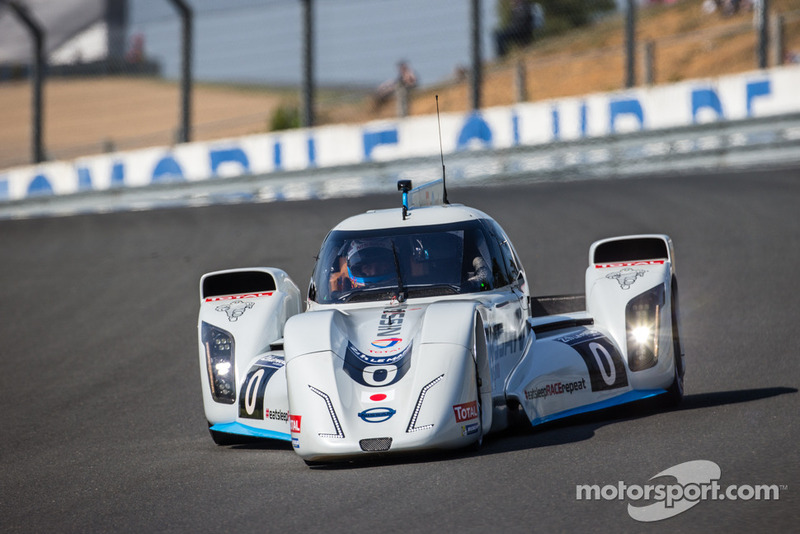 The final entry for this year’s Le Mans 24 Hours was the greatly experimental Nissan ZEOD RC, which challenged the boundaries for hybrid technology in the world’s greatest motor race. The team set ambitious target and threw the best available talent behind this project. The vastly successful RML team ran the operation, which aimed to travel at 186mph on the Mulsanne straight and complete a full lap on only electric power stored by the hybrid system. Unsurprisingly the car ran into a lot of problems during the week, yet the team’s targets had already been met before the 24 Hours even started as they completed their objectives in the morning warm up. From here the overall result in the 24 Hours wasn’t of major significance as the team had already completed it’s goals. Despite this, the team must have been disappointed to see the car roll to a halt halfway between Arnage and the Porsche curves early on. Once the ACO refused the team’s plea to let the car be collected and returned to the pits, their race was sadly over after only 5 laps. On the whole, the team can take great heart from this project and it’s achievement, despite the race result. The team performed excellently during the week, and all 3 drivers have definitely put themselves in the window for the new Nissan LMP1 project next year with their performances this week. That sadly completes my Le Mans 24 Hours coverage for this year, all keep posted as I try to write about the remaining Sportscar season, which goes relatively quiet now in Europe after Le Mans. It was a truly amazing Le Mans 24 Hours race, which has solidified my decision to go to the race next year for sure. Please feel free to comment on this, all my details are in the contact page of this site. Finally I must say one more time a huge thank you to http://www.Motorsport.com for their amazing photos throughout the whole Le Mans 24 Hours week. I know I’ve said the same thing in multiple posts but their site really is worth a look for any motorsport fan. Until next time, Enjoy! The final review of mine for this year’s scintillating Le Mans 24 Hours comes from the GTE Am class. Although considered by many to the slowest of the four classes competing, this class provided some very entertaining battles throughout the 24 Hours. The cars this year were the same spec as the GTE Pro field, therefore with the professional drivers in the cars this class was troubling the more established GTE Pro runners. 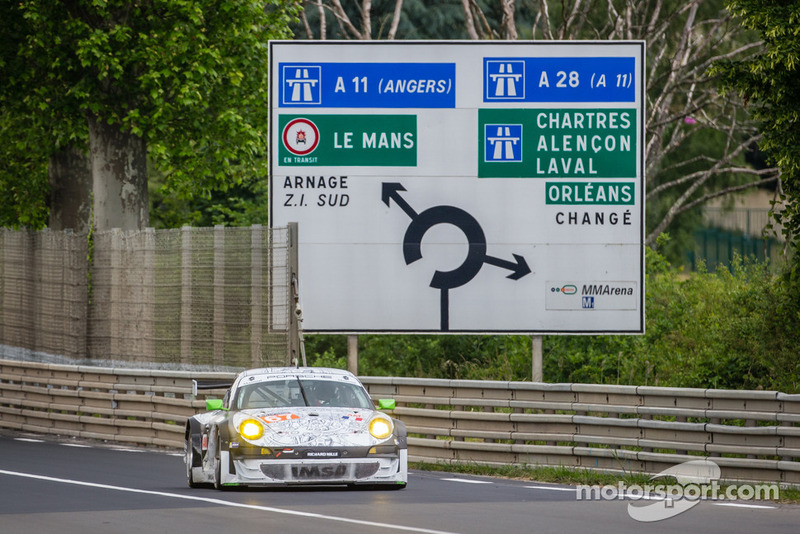 For the RAM Racing team, the 2014 Le Mans 24 Hours proved to be a solid if unspectacular week for them. 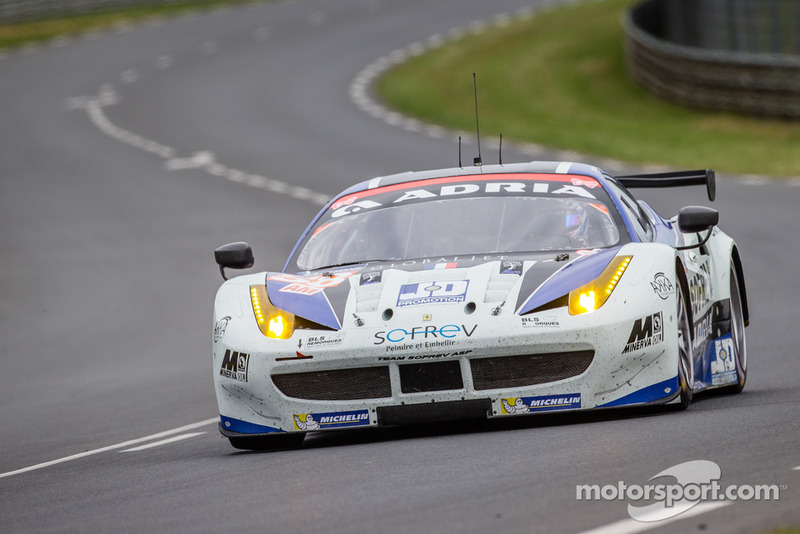 The team’s driver line up was a contender for the best in class, yet some funding issues prevented the team from updating their Ferrari F458 to 2013 spec like many others in the class. 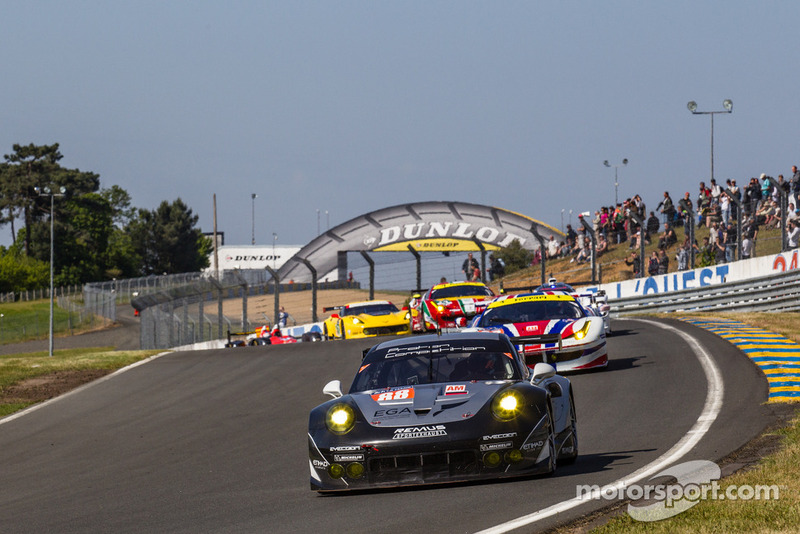 The funding issues hurt more as they prevented the teaming entering the Spa 6 hours World Endurance Championship, a traditional warm-up for Le Mans. In terms of results the team qualified in the midfield and the #53 entry was running solidly before some small problems hampered the team slightly as the race wore on. From here the drivers ran strong until the flag to come home 12th in a very competitive class, and 32nd overall. For most teams the minimum target is to finish the race, therefore this RAM entry can be proud of that, although they will be hoping to eliminate some of their problems for next year’s 24 Hours. A decent effort all round from the RAM Racing team. The Krohn racing team came into Le Mans as the most under-prepared team, through no fault of their own, as they received a very late call up to the race only a few weeks before the 24 Hours. From this perspective the team performed admirably therefore to finish the race, finally coming home a remarkable 10th in class. The team suffered very few problems and the driving talent drove brilliantly to secure the finish for this American privateer team. 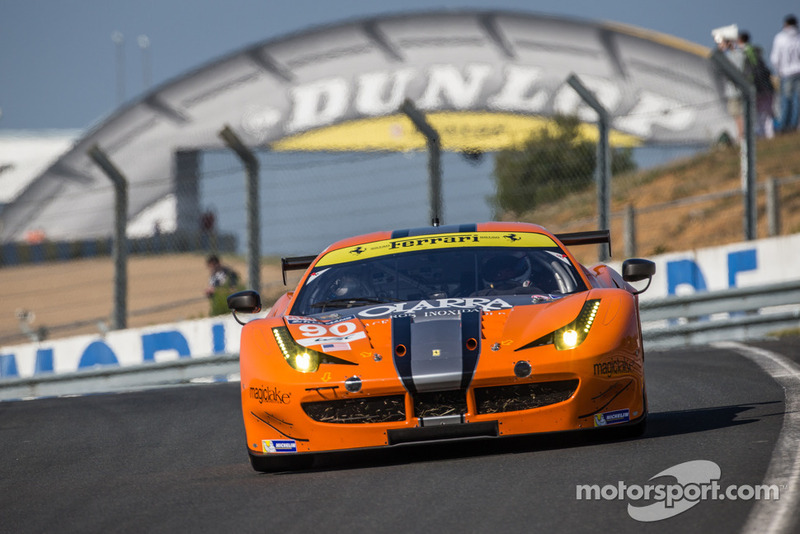 Krohn have become a mainstay of the Le Mans GT classes, and many hope they will return once again in 2015. A lot of French media attention was centred on this new team and in particular it’s driver line-up pre-race, although the presence of a French World Cup winning Goalkeeper amongst the driving talent may have had something to do with that. This relatively new start up French GT team made a good first impression on the 24 Hours, as they performed a solid race and solidified a eventual 9th place finish in GTE Am by the finish, and 29th overall. For this team, like many, a finish was probably the minimum expectation therefore to complete your first Le Mans 24 Hours is no mean feat. The driver line-up all had a stellar race too as they avoided all the action to secure the finish they so wanted. Many French fans will be hoping this team returns with the same line-up in 2015, as they all proved a hit this time around. 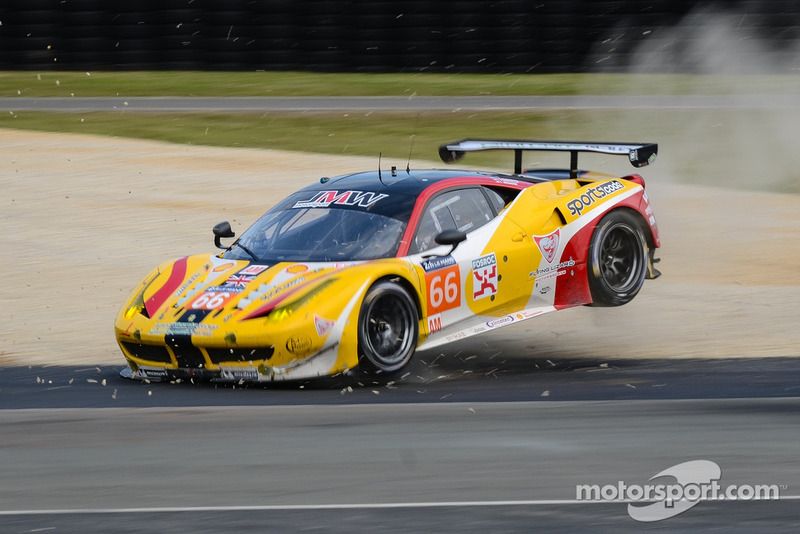 The #60 AF Corse entry was the first of four Ferrari F458 Italia’s that they were running in the GTE Am class alone. The team is the best European Ferrari GT team in the business, therefore it came down to the driver line-up to ensure a clean and fast run in the 24 Hours. The car qualified in the midfield and appeared to be holding a steady upper midfield spot in the race over the first few hours. Unfortunately for the team, as the evening and night time drew in this car faltered, and was forced to retire after completing 115 laps. This was a disappointing end to what had been a good run so far for the #60 car. The team looked more than likely to have been fighting for a top 6 in class had it carried on going into the final hours. 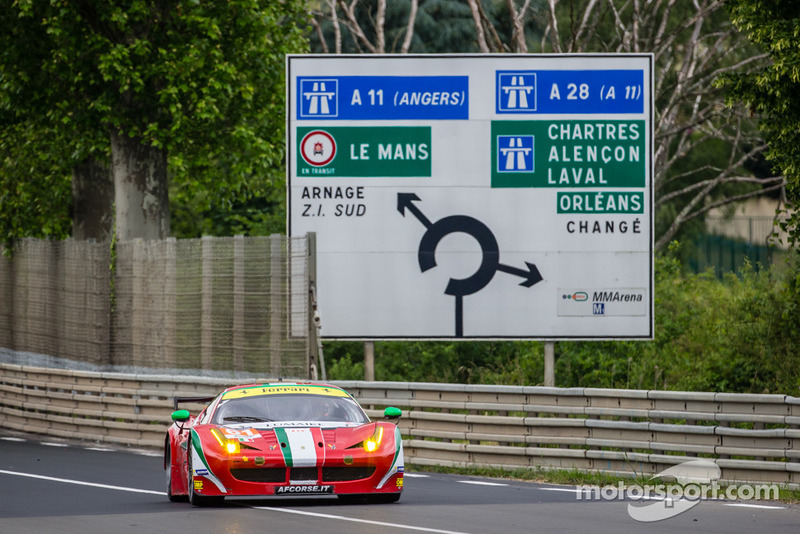 The AF Corse team will surely be back in GTE Am at Le Mans next year, hopefully they’ll retain this driver line-up for the #60 car too, so they can deliver on the promise they showed last weekend. 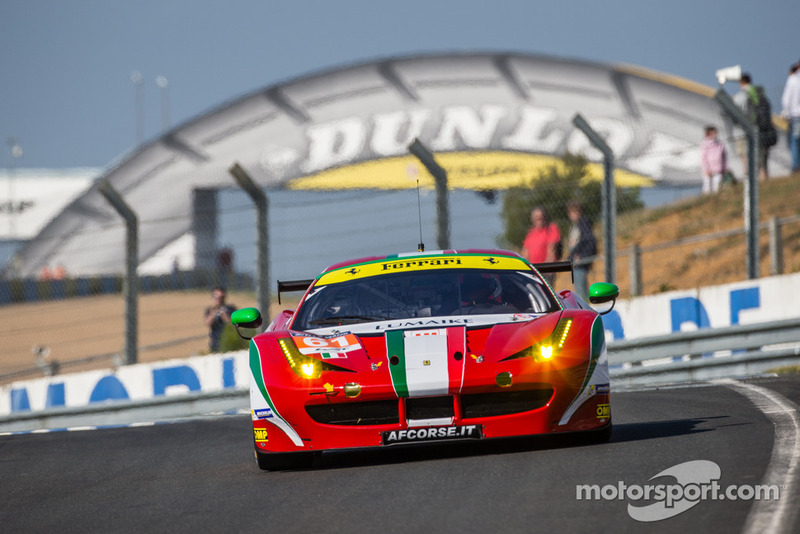 I predicted that of the four AF Corse GTE Am entries, this was the most likely to challenge for class honours, and that’s how it played out as the team had a reliable race, complimented by some very fast driving from all 3 drivers. The end result of this was a superb 3rd in class and 22nd overall, only 3 laps down on the winning #95 Aston Martin. The team delivered on the results it’s shown in the WEC so far this year and will now be hoping they can continue their title winning credentials into the final few races of the WEC season. 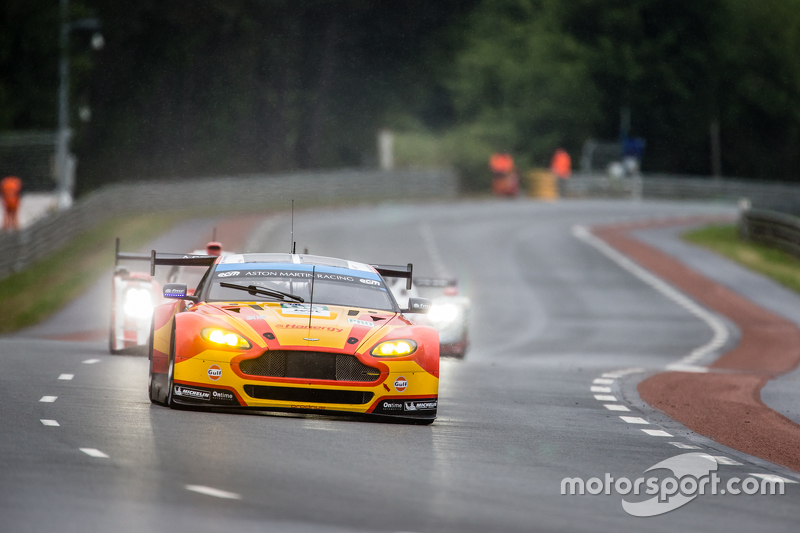 A definite challenger for GTE Am honours at Le Mans if this team returns unchanged in 2015. For this #62 AF Corse entry it seemed a reliable run to the finish would be the main target for the relatively inexperienced driver line-up as they learnt the track all week. The team lacked the ultimate pace to challenge for a top 6 in class, yet the team achieved their target as they completed the Le Mans 24 Hours. Like I’ve said earlier, finishing Le Mans is no mean feat therefore the team can all be satisfied with their race, with their overall finishing position of 38th being of much less importance. It will be interesting to see the improvement in this team if they return in 2015, with many hoping they will come back for more. This #81 entry have proven a huge contender for GTE Am victories in the opening WEC races, and it stole the early headlines in qualifying with a scintillating lap from Brit Sam Bird. The recent single seater convert defied his Am class status to set the pole lap in GTE Am, which was only bettered by a lap from the superstar #51 AF Corse GTE Pro line-up. This lap has surely now put him on the map in terms of a long term Sportscar career as I’m sure many teams sat up and took notice of his talents after qualifying. After such a high with the class pole the race was continuing in a similar fashion as they battled for the class lead early on. From here things quickly went downhill for the team as Le Mans rookie Sam Bird was caught out in changeable conditions and ran into the back of a slow No3 Audi R18. The damage was extensive enough to force both cars into retirement early on, in what was hugely disappointing for both cars and they looked to challenge for their class victories. Nevertheless, the team showing amazing potential which will surely be fully utilized in the remaining WEC rounds this year. For this team, the link up with experienced American GT outfit Flying Lizard provided even more experience to this GT mainstay team. The team was hoping to make all this experience count pre-race. After qualifying in the midfield, the team went into the race still maintaining their hopes of a podium or top 5 finish in class. After a relatively trouble free run the team was able to count on it’s driver line-up to provide quick and consistent laps throughout the race. This approach usually works at Le Mans and this year proved no different, as whilst the team lacked the last edge of pace to challenge for class victory, they were able to comfortably finish 7th in class and 27th overall. This team appears likely to return next year, and it would be nice to see Flying Lizard return as an outright team again next year too. For the highly experienced IMSA Performance Matmut team, this entry was targeting a clean and reliable run in the 24 Hours. Whilst the driver line-up contained hugely fast and experienced Sportscar racer Eric Helary, the other two drivers were unable to match his pace, probably due to their lack of experience at Le Mans in comparison to Helary. Like many GTE Am team finishing appeared the first priority, something the team can be proud to say they accomplished, with a 13th in class and 34th overall. The IMSA team seems to return to Le Mans every year, and similarly to the #62 AF Corse Ferrari, it would be interesting to see the same line-up to return as I’m sure the improvement would be large from the 2 drivers alongside Eric Helary. That’s it for the first half of my 2014 Le Mans 24 Hours GTE Am review, Part 2 will be posted soon so stay tuned for it later today. I hope you enjoyed reading this and please feel free to comment, even if you think it’s terrible. All my contact details are in the contacts section of my blog so feel free to browse. Finally a huge thank you again to http://www.Motorsport.com for their amazing high quality Le Mans photos, they truly are worth a browse for any motorsport fan. For now, Enjoy!